To stylist Mark Bustos, cutting hair isn’t just a job. 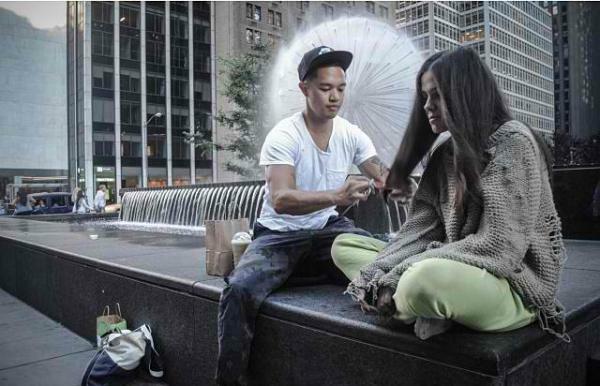 Although he works at the upscale Three Squares Studio in the New York neighborhood of Chelsea, where cutting and styling costs anywhere from $150 to $800, Bustos spends most of his free time cutting the hair of the homeless. He began two years ago when visiting family in the Philippines. 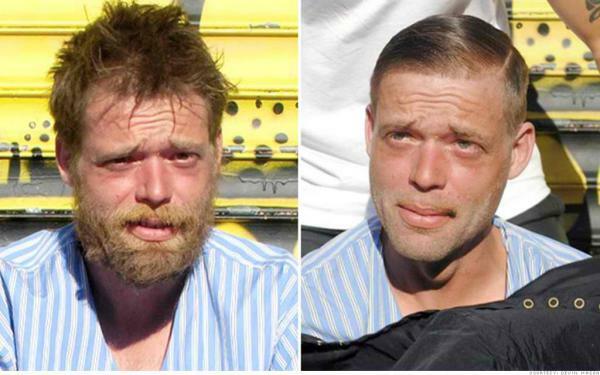 While there, he visited a local barbershop to give out free haircuts to children in need and liked the feeling of helping people so much that he decided to keep on cutting. “It made such a strong positive impact on me that I decided to bring it back home to NYC,” he tells CNN. Bustos says that to many homeless and needy people, getting a haircut is a little like a therapy session. Many are looking for work and want to look presentable, but don’t even have the small advantage of living in a shelter. Bustos gives them a “jump start” by inspiring the confidence to apply for jobs. “I make a point to ask every person how the haircut makes them feel, and 90 percent say it gives them more confidence,” Bustos told CNN. The haircutting always takes place in a public area, since Bustos wants to raise awareness and inspire others to do good deeds. Recently, another barber approached Bustos and told him he would be interested in helping out. And as for his clients, whether they end up landing jobs or not, Bustos is still providing a valuable service. One man, who has been homeless for eight years and needed a haircut for his upcoming visit with his 11-year-old daughter, called Bustos an angel for donating his time and talent. “When someone comes along and gives you something you never get, it’s just nice,” he said. Photographer Devin Masga takes pictures of Mark's work around the city. You can see the photos here.